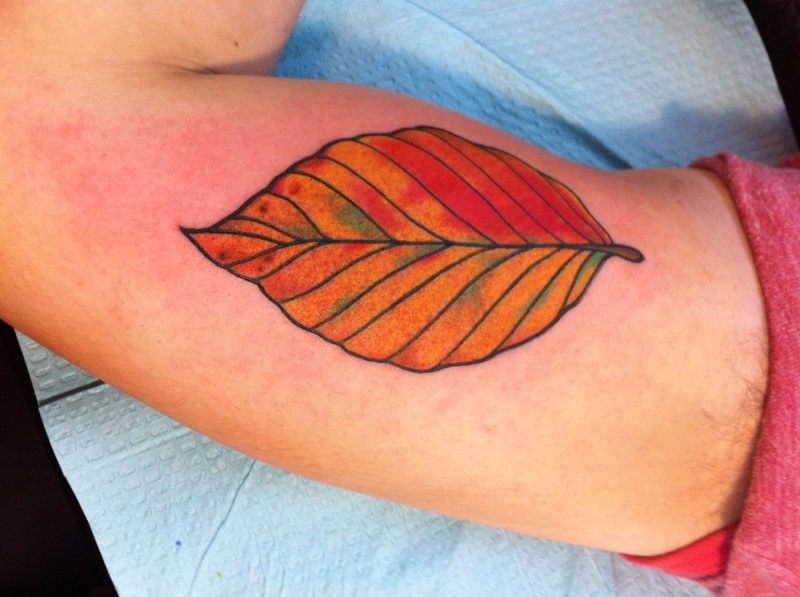 Sarazah did this Leaf on a Camp Counselor the other day. A family of Butterflies by Sarazah. 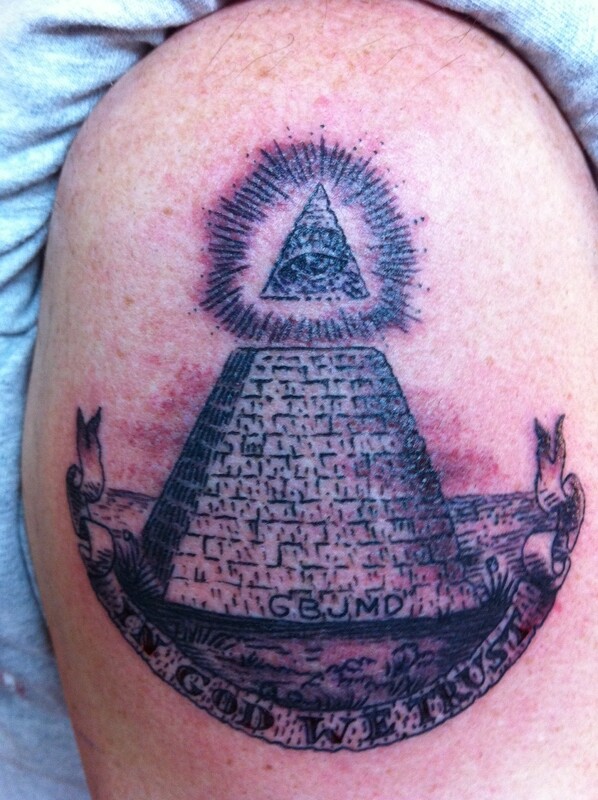 Sarazah gave Dave his first tattoo the other day. An outline of a Griffin/Snake battle on John. Sarazah is here at the shop on Saturdays. If you would like to book an appointment with her call/stop by the shop anytime we are open.